If you’re looking to filter out contaminants such as arsenic, fluoride, nitrate and radium, you’re out of luck with your refrigerator filter. And although some carbon filters are effective, a take care of the contaminants previously mentioned, and more. Most filters are NSF Certified to reduce lead, asbestos, chlorine taste, odor, sediment, and pharmaceuticals. However, how much can vary on a number of factors, including the number of contaminants in your water. Likewise, they need to be changed frequently. Overused filters cannot remove these contaminants. Worse, water can pass through an overused filter and push trapped contaminants into your drinking water. The dispenser on the refrigerator that water comes out of is one of the “germiest” places in the kitchen. One of the biggest issues with your fridge filtration system isn’t the actual filter at all. 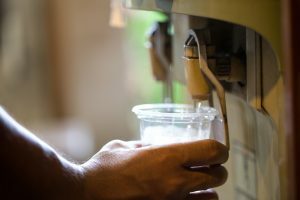 The National Sanitation Foundation found that the dispenser on the refrigerator that water comes out of is one of the “germiest” places in the kitchen, and most are covered with yeast or mold. This was also found to be an issue with the ice dispenser and makes it a problem with people that suffer from allergies. Is your refrigerator water filter good enough? Maybe utilizing a carbon-based pitcher or point-of use system can remind you to give it routine maintenance, as it needs changed once every few months. A reverse osmosis under-sink system offers the benefits of all of these filters with more efficiency, and less hassle. 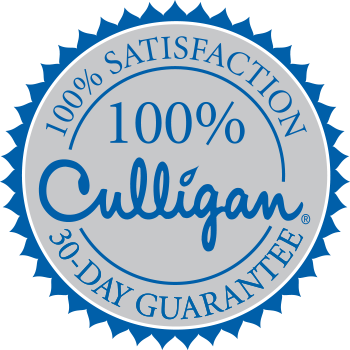 Call your local Hudson Valley Culligan Man to see how you might benefit from an upgrade to your kitchen’s preferred method of water filtration.